The minispangle process aims to minimize ‘spangles’ in galvanized strips in order to improve the surface quality for coating. Fives is a pioneer in the minispangle process, having designed the original Stein minispangle system as a companion system to continuous galvanizing lines. 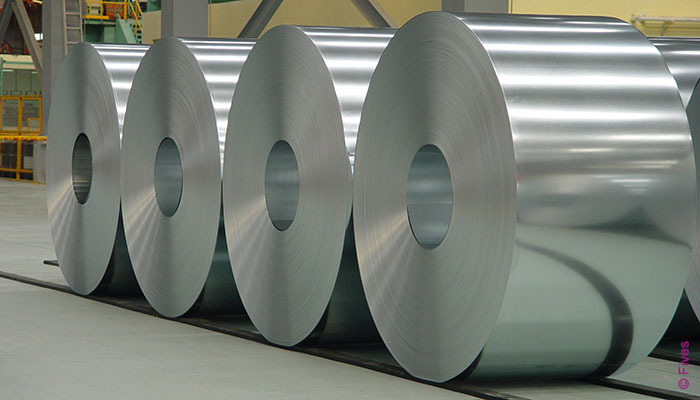 Fives has started to develop this technology more than 40 years ago by applying nuclei constitution of the zinc, in the form of powder conveyed by air, to minimize “spangles” in galvanized strips. The system is installed downstream of the zinc coating bath, with zinc dust minispangle process targeting two purposes at the same time: solidification and crystal nuclei deposition. This allows to obtain an extremely fine crystallization of the coating in order to achieve high surface quality for precoated and color coated strips. The minispangle equipment can be easily moved from production operation conditions to a standby position to allow GI normal spangle product and easy access for maintenance of the zinc coating equipment. For the optimum finish quality for color coating, the minispangle equipment is best paired with a skin-pass. However, the minispangling process by itself still gives the product a smooth satin finish as it leaves the galvanizing lines.